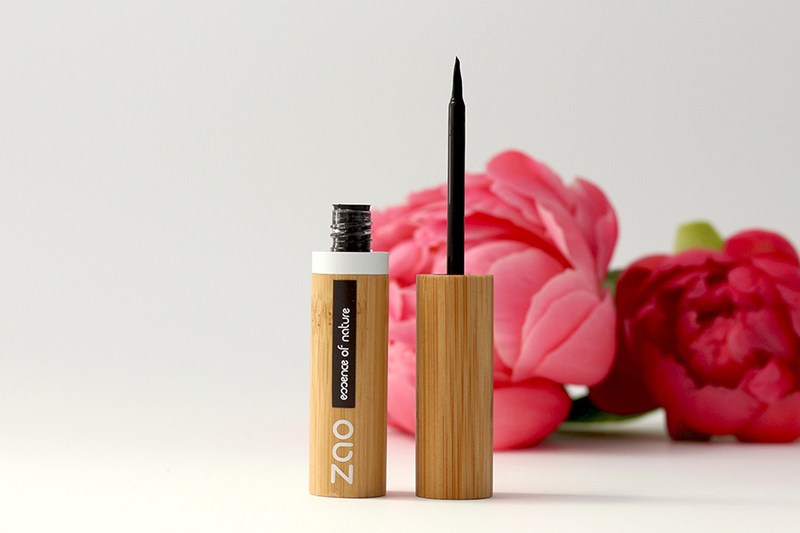 The Zao Vegan Felt Eyeliner is perfect to sublimate your look! Its felt tip allows an easy application to highlight your eyes. Its 100% natural formula enriched with aloe vera and organic bamboo hydrosol, takes care of sensitive eyelids. Very long-lasting, the black is highly pigmented and give intensity to your look. 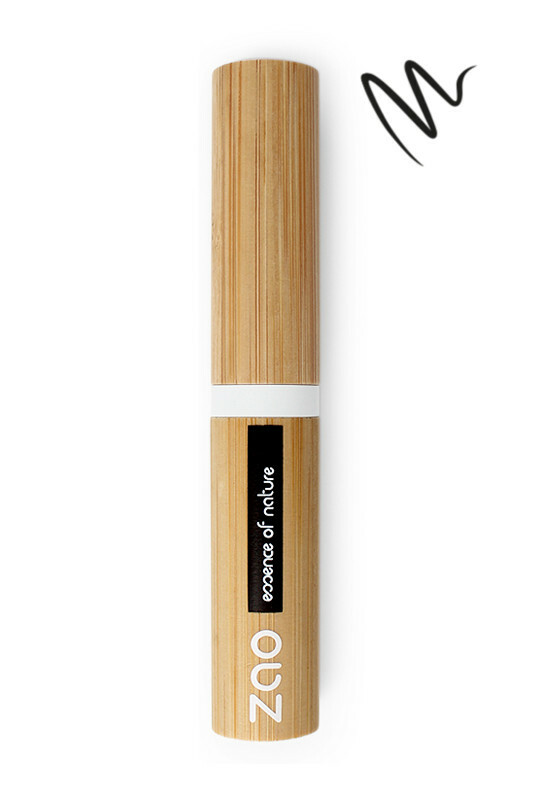 The ZAO Organic Felt Brush Eyeliner is rechargeable: replace your refill once the product is finished! 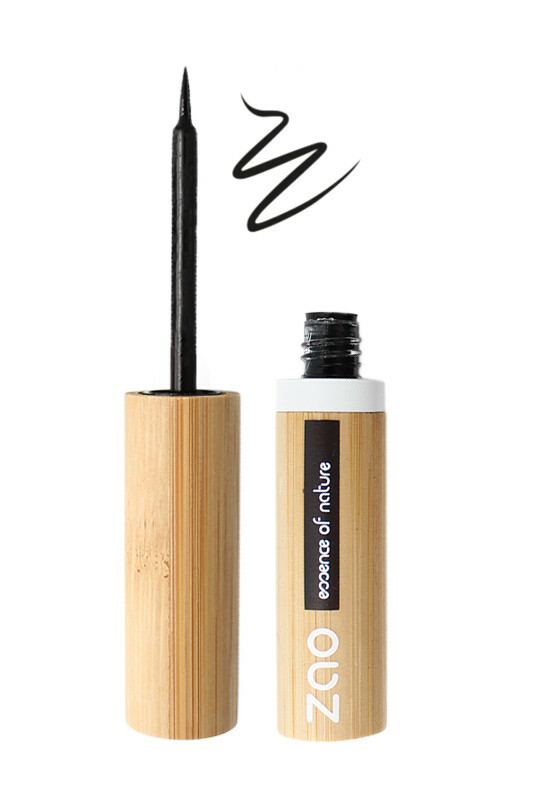 Sublimate easily your look with ZAO Organic Felt Liner Brush ZAO! The thickness of the line depends on the amount of pressure you apply. So, for a thin line, press the brush lightly; for a thinker line, apply slightly more pressure. On the upper eyelid, paint the line on the closed eyelid close to the roots of your eyelashes. Start from the inner corner and move towards the outer end of the eye. To get to the roots of your lashes more easily, close your eye lid and gently pull the skin up at your eyebrow. To get a perfect line, start at the centre of the eye lid and draw the line outwards to either side. Then draw from the ends to the centre of the lid to finish the line off. 1. Open your eyeliner and unscrew the white ring that holds the old refill. 2. Then, close your eyeliner and pull the tip up to remove the refill. 3. Pull the top end of the eyeliner to separate the old refill from the bamboo tube. 4. Insert the new refill. 5. Clip the new refill into the bamboo tube. 6. Close with the bamboo top cap, clip and unscrew to insert the white ring to secure the refill with the bamboo case. Les produits ZAO sont excellents, mais je n'aime pas ce feutre qui est bien trop dur ! Le format recharge est pratique et ecolo, j'ai pu facilement faire le remplacement de mon ancien tube. Sinon rien à redire, le noir est bien noir et la composition bonne.